Republican Congressman Dave Reichert visits ancient Jewish sights: the Cave of the Patriarchs and the City of David. “Israel’s enemies are America’s enemies,” declared U.S. Republican Congressman, Dave Reichert, while on his first visit to Israel this past week. As a guest of the American Jews for Israel lobby, Reichert toured toured several Jewish communities, such as Hevron and the City of David. Additionally, Reichert met with senior leaders of the religious Zionist movement. 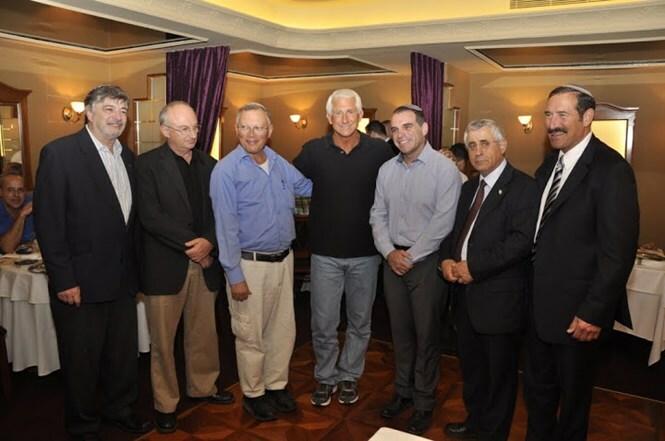 “I have always been pro-Israel," Reichert professed on Thursday evening during a formal dinner with members of Knesset, Israeli municipal leaders, and intellectuals. The Congressman also shared that what stood out to him during his trip was the determination, kindness, and inner truth that the Jewish nation possesses. “Israel needs to be certain that she has friends around the world and in Washington State. That which affects Israel, affects America,” Reichert declared. As a former SWAT Commander in United States, the Congressman’s primary reason to visit Israel was to gain insight on the country’s field of security and to make connections with leaders. “We feel we have a lot to learn from the people here in Israel,” Reichert said, speaking highly of Israel’s efficient security systems which he intends on implementing in the U.S.